The holidays are chaotic and it can be easy to neglect common sense safety measures. More fires and burglaries happen during the holidays than any other time of year. 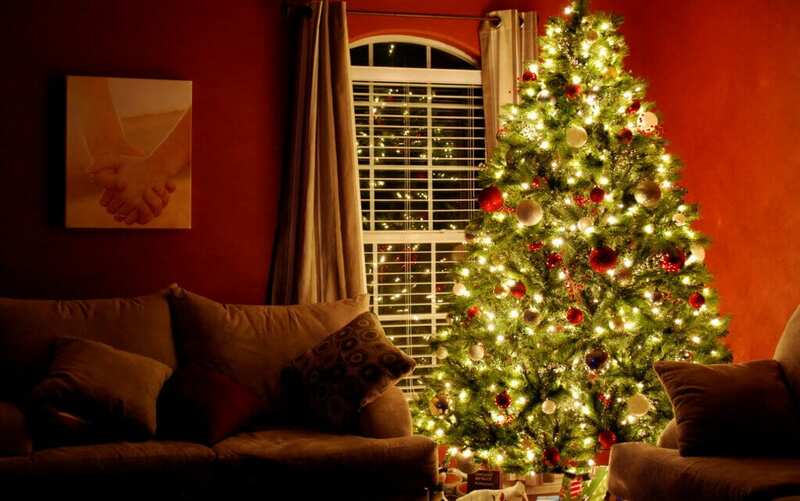 Taking extra precautions and keeping your home safe during the holidays is a must. String lights add festive cheer, but old and worn sets of lights pose a fire risk. Before hanging up any string lights, examine them for frayed areas and broken sockets. String lights are inexpensive, so the clear choice is to replace them instead of hanging questionably unsafe lights. Be careful about stringing too many sets of lights together and overloading outlets. Here is a guide to help you figure out how many strings of lights your outlets can handle. String lights aren’t the only fire risk of the holiday season. People often build fires in the fireplace and light candles for decoration. If you have a fire going, keep the glass doors on the fireplace shut. Battery-powered candles are a safer option that creates the same effect with no fire risk. Most importantly, make sure all of your smoke alarms have working batteries and keep a fire extinguisher on hand. Everyone loves the smell of a freshly cut tree. Unfortunately, too many people forget to water their tree after they decorate. On average, cut trees can soak up two to three cups of water a day, so make a point to keep the reservoir full. A dried out tree becomes a very flammable item in your home. If traveling for the holiday season is on your agenda, make a point not to post your plans online. Social media platforms are one of the first places people look to find out personal information. Posting that you are going away for 10 days gives the wrong people just enough information to know when your home is going to be empty. Only share your travel plans with family and friends in person or over the phone. Smart home technology has come a long way in the past few years. Smart home systems let you do everything from turning on and off the lights and TVs in your home to monitoring video footage remotely using your phone or tablet. Take advantage of smart home technology to keep your home safe during the holidays. With a little planning, keeping your home safe during the holidays is easy. Make a checklist and mark off each task as it’s completed. Happy holidays from InspectorUSA, serving Central Kentucky with home inspection services.